This looks really good!! You are making me hungry, haha. I love, love chicken soup! I actually have some in my slow cooker right now. I stick to my same old recipe 99% of the time because it’s so good, but this looks like a great way to switch things up. Mmmmmm! 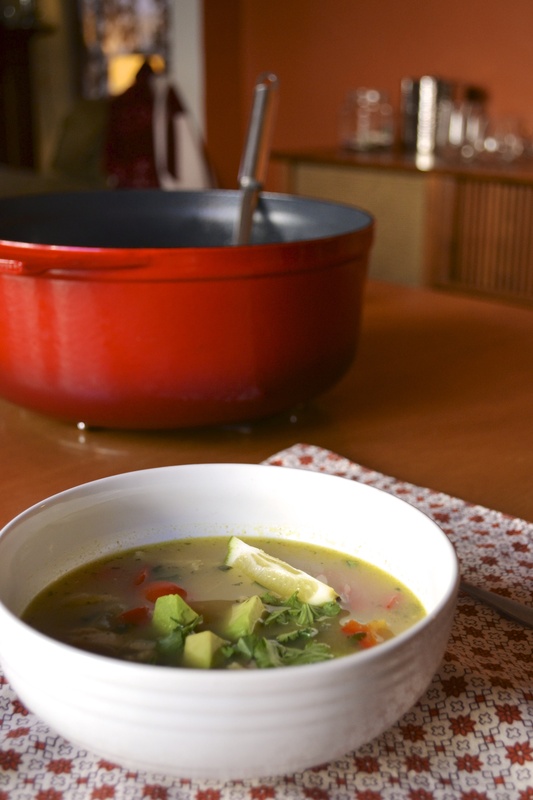 Chicken Soup heals the soul! this looks amazing! i’ve been down and out as well (so much Law and Order Criminal Intent plus Troop Beverly Hills). i might whip this up during the week along with some vegetarian chili to make sure we don’t get too far down the dangerous take-out hole while sick. thanks for sharing! looking forward to following along – added you to my RSS! Really tasty and easy to make. I followed the recipe, plus added a dab of low fat sour cream at the side. After 2 meals still had enough zingy broth, I’m solo, to add more chicken and lots of veggies and enjoyed the 2nd version, too. Will definitely make again. 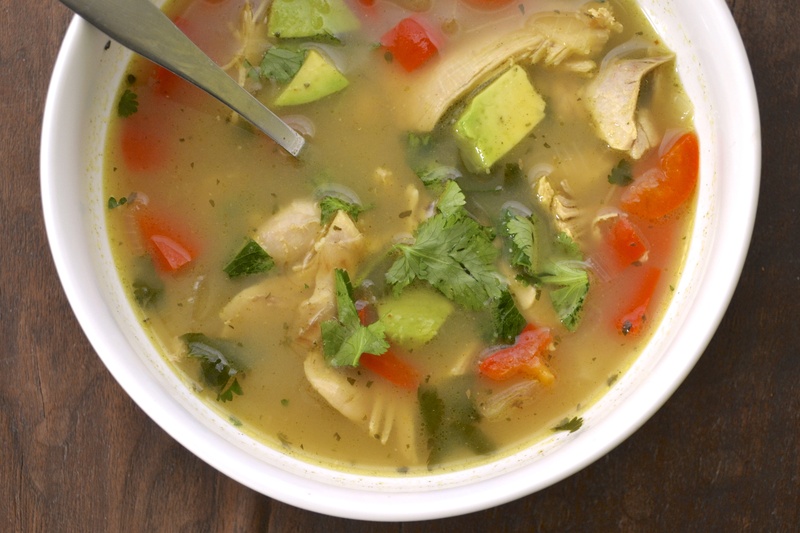 I recently had some Mexican Chicken Soup when I was in San Diego. It was wonderful. Your picture looks just like it! Thanks for the recipe. I plan to try making it this week. Yum! It’s one of my favorites.